Ships tomorrow if you order in the next 22 hours 19 minutes. Discover the free radical fighting potential of brown algae. 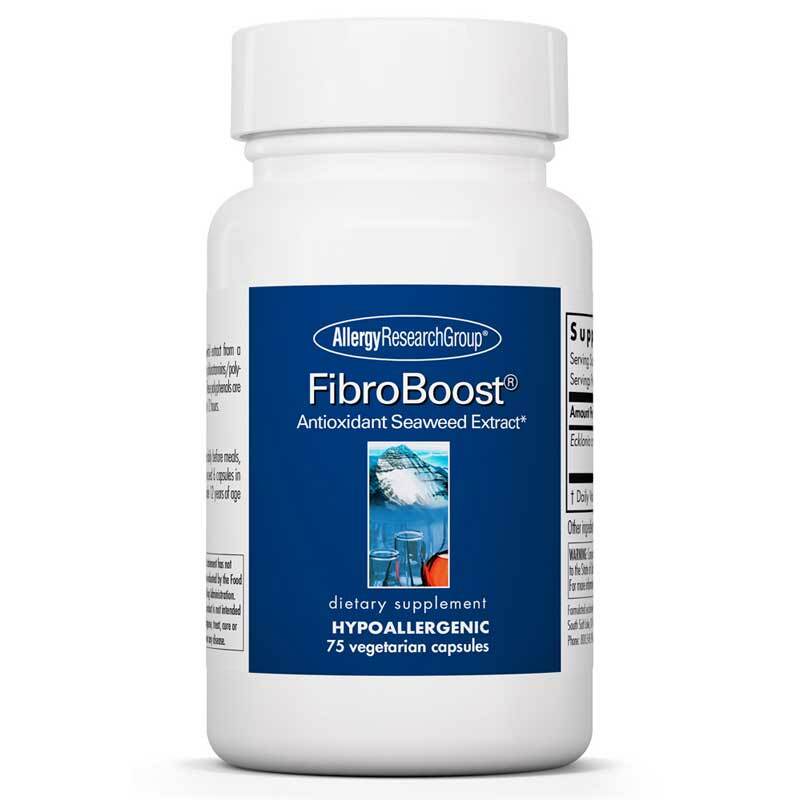 Allergy Research Group presents FibroBoost containing Seanol-F - a potent brown algae extract with extra-strong antioxidant properties. 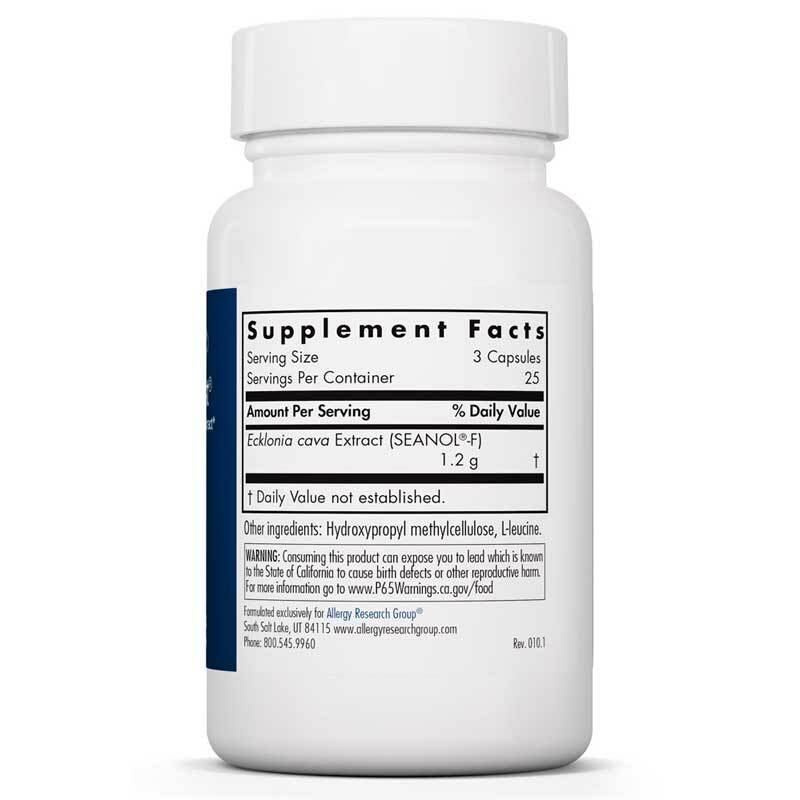 The marine-based antioxidants known as phlorotannins from the Seanol-F in this supplement are natural chemicals that support your body's immune system and could reduce pain and swelling. FibroBoost also provides nourishment to potentially benefit your brain, cardiovascular system and promote normal metabolism. Discover the powerful possibilities of brown algae's ability to reduce oxidative damage in your body. 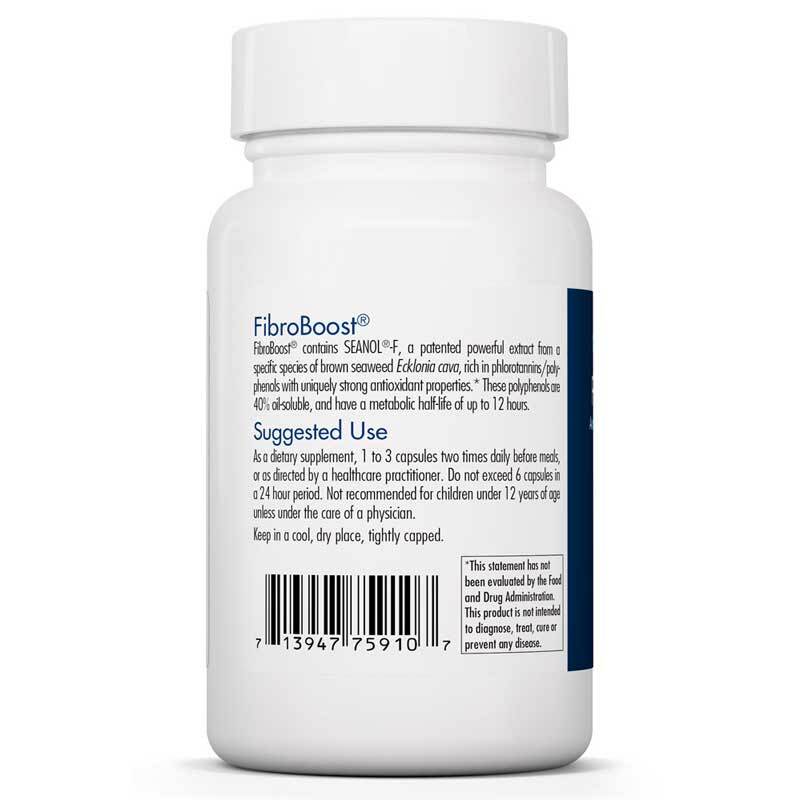 Don't miss out on the overall health benefits of FibroBoost from Allergy Research. Adults: As a dietary supplement, 1 to 3 capsules two times daily before meals, or as directed by a healthcare practitioner. Do not exceed 6 capsules in a 24 hour period. Not recommended for children under 12 years of age unless under the care of a physician. My doctor recommended for me. I am inclined to think it is a high quality product. I didn't notice any difference from taking it, but that doesn't mean it didn't do what it was supposed to.